Filet crochet is an easy type of lace crochet because it primarily only uses two stitches – the chain stitch and double crochet. 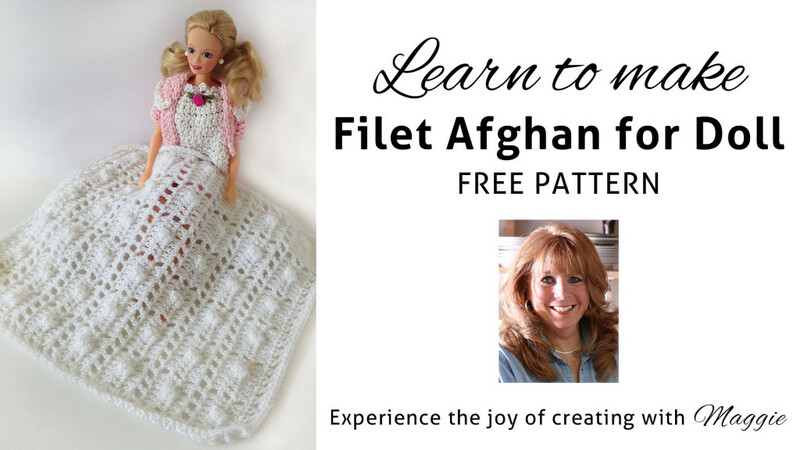 This Baby Doll Filet Afghan is a great project if you are new to filet crochet because of its small size. Click the photo for the Baby Doll Filet Afghan pattern. For this project, you’ll need a #2 Fine Weight yarn and a size F-5 crochet hook. Twinkle yarn from Mary Maxim is a great yarn for doll and baby projects because it is super soft and machine washable.